The award winning Trion computer is the key. 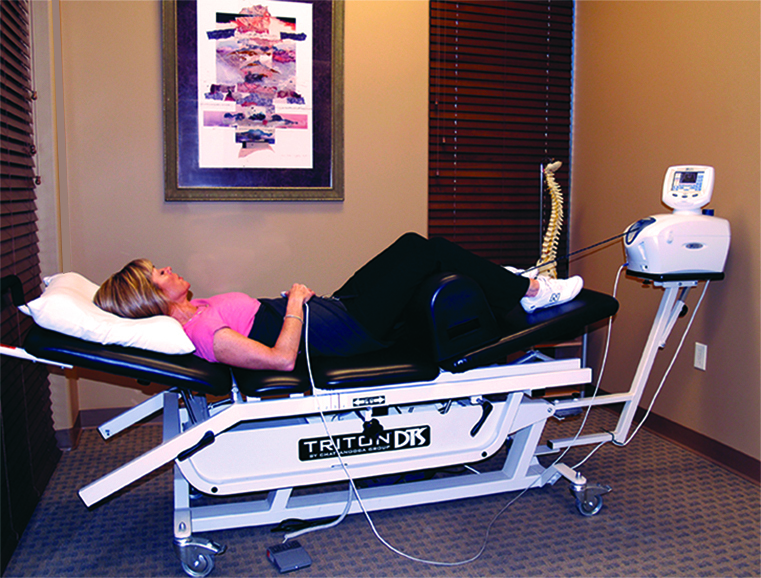 It controls the variations in the traction pull allowing for spinal decompression and eliminating muscle-guarding tat is typical in conventional traction devices. The preprogrammed patterns for ramping up and down the amount of axial distraction allows for higher levels of spinal decompression and disc rehydration. Are there medical studies that document he effectiveness of Spinal Decompression Therapy? Spinal Decompression therapy is not recommended for pregnant women, patients who have sever osteoporosis, severe obesity or severe nerve damage. Spinal surgery with instrumentation (screws, metal plates or "cages") is also contraindicated. However, spinal decompression therapy after bone fusion or non-fusion surgery, can be performed. In almost all cases, the treatments are completely painless. In fact, some patients fall asleep during the spinal decompression session. The specific treatment plan will be determined by your examination. Based on current research h, the best results have been achieved utilizing 10 sessions over a 6-week period.